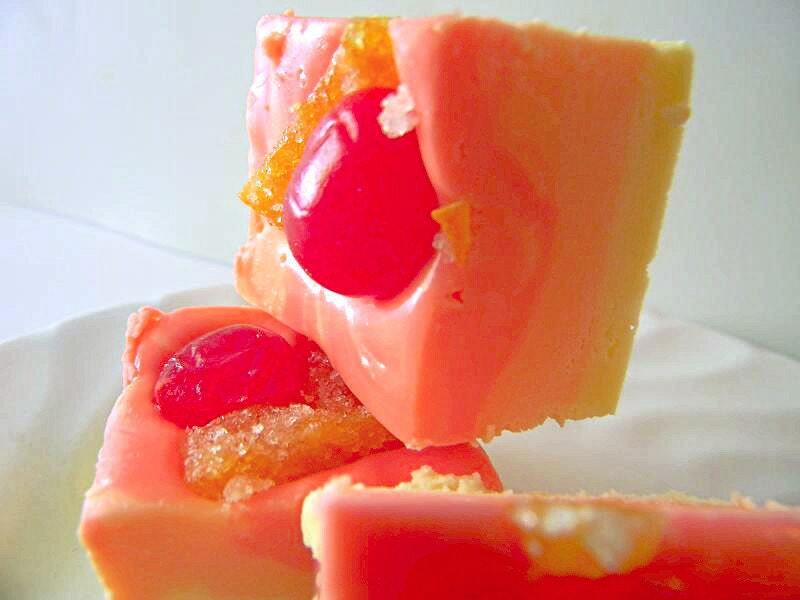 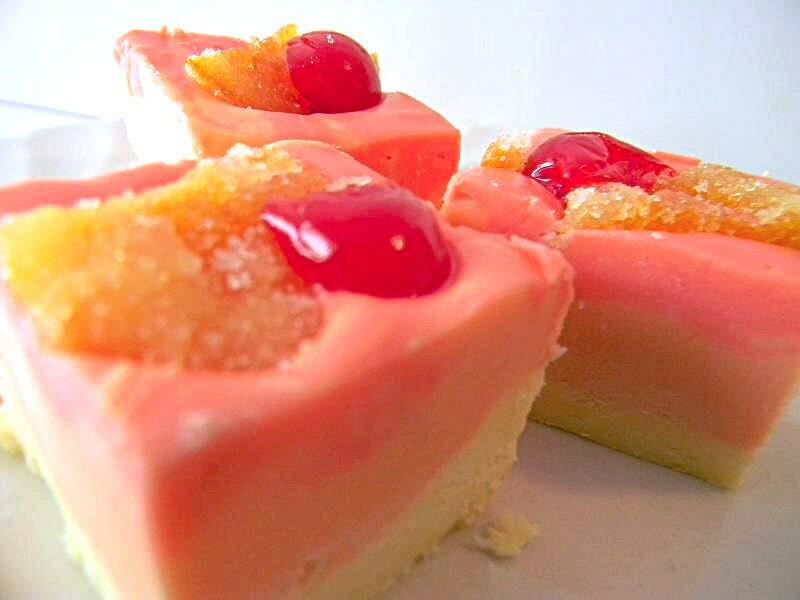 Slip away to your own island paradise with this tasty treat - TEQUILA SUNRISE FUDGE!! 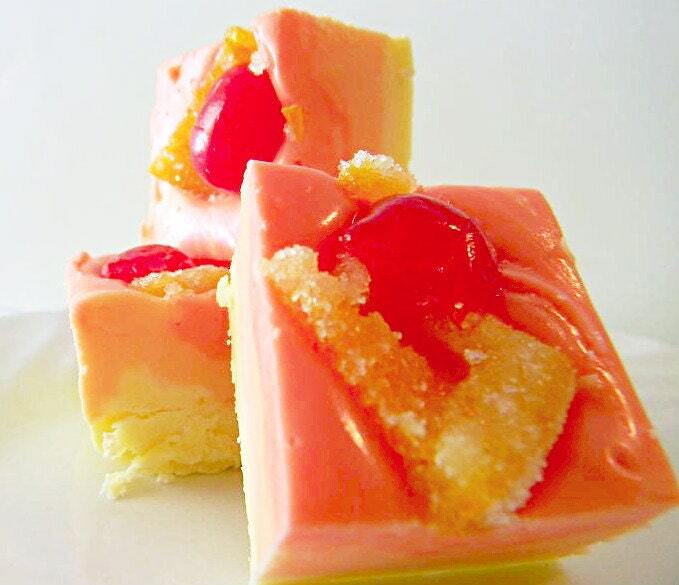 Yummmmm, The creamy, dreamy fruity Tequila Sunrise flavor will whisk you away to the vacation you deserve! 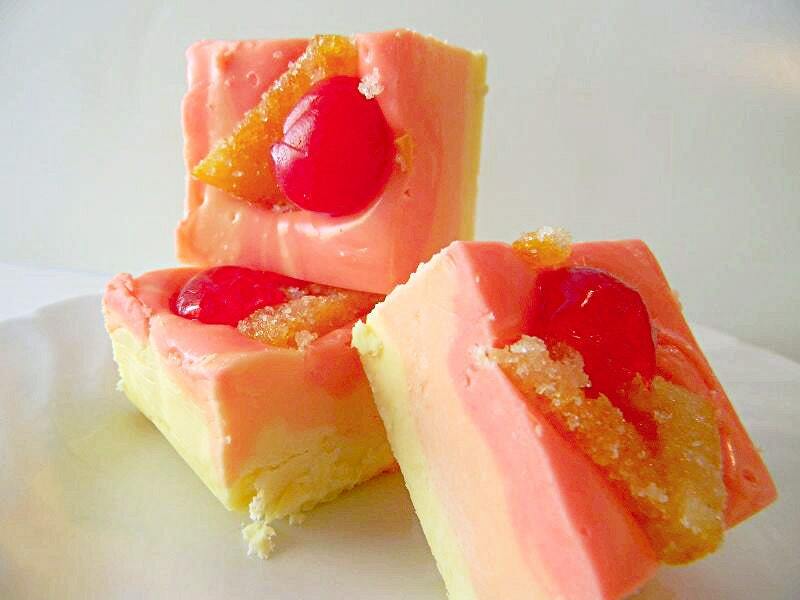 Just like the drink, this fudge is beautiful too, with a slice of candied orange and maraschino cherry garnish on top of a swirly sunrise-like, colorful masterpiece! 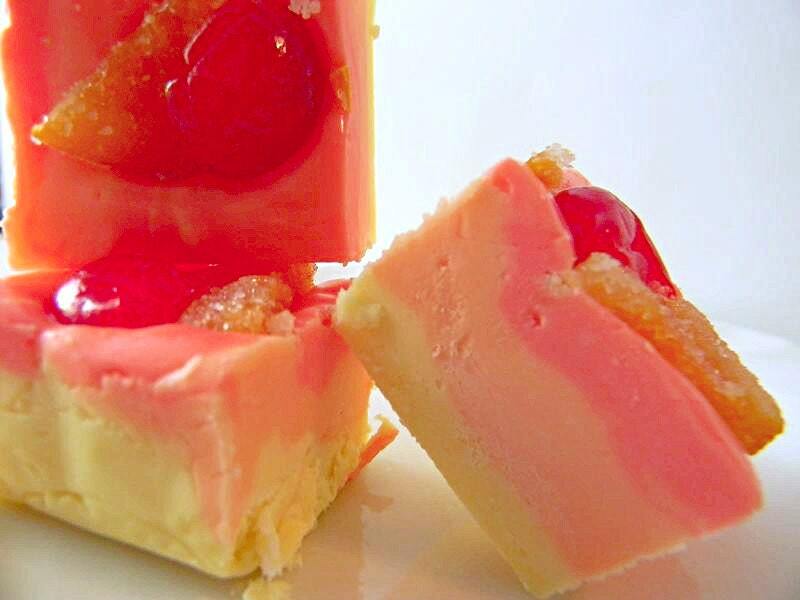 Dig right in and enjoy!